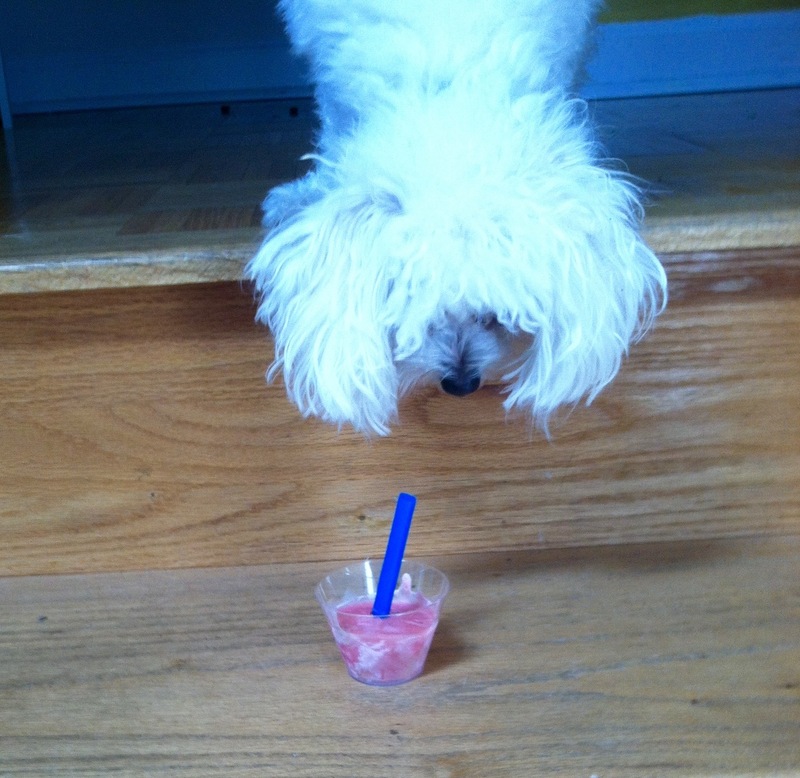 It’s getting hotter outside, and you can’t forget your furry friends need to cool down, right? 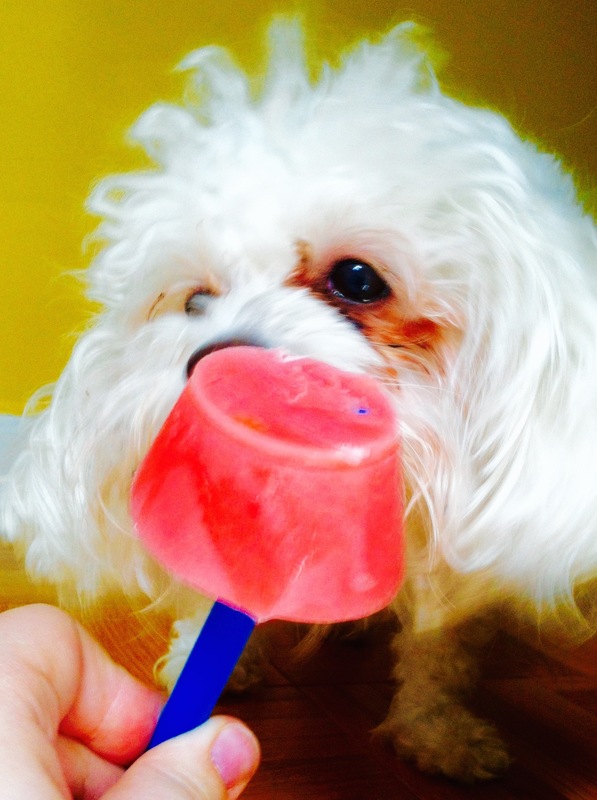 Well, if you’re a crazy dog lady like me, then you make your dog popsicles. Lol. I mixed 3/4 of a 32 oz tub of vanilla yogurt (you could use plain yogurt too. 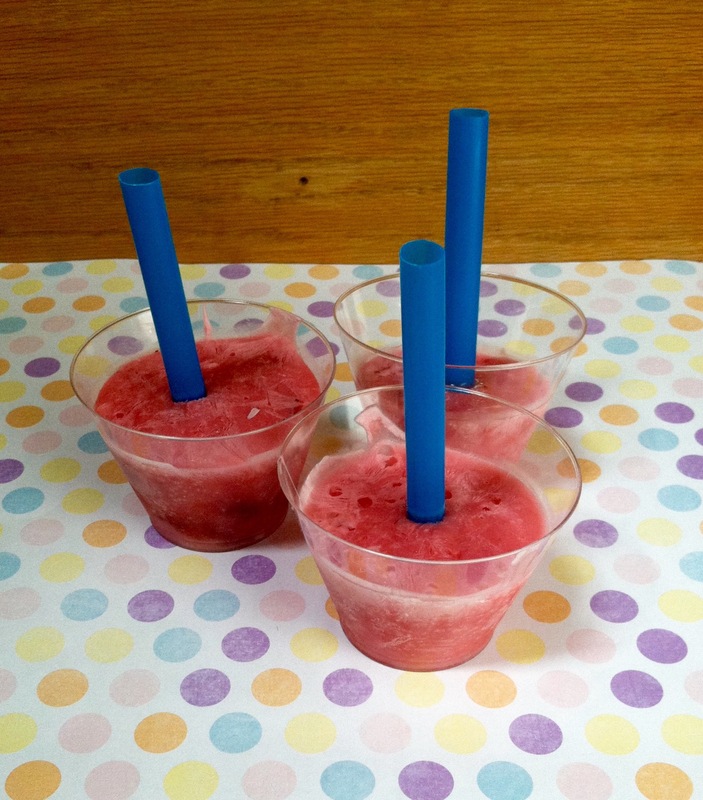 The less sugar, the better) with a cup of mashed strawberries in a gallon size bag, cut the corner off, and filled plastic punch cups halfway full with the mixture. Then, stuck them in my freezer. After about an hour . . . 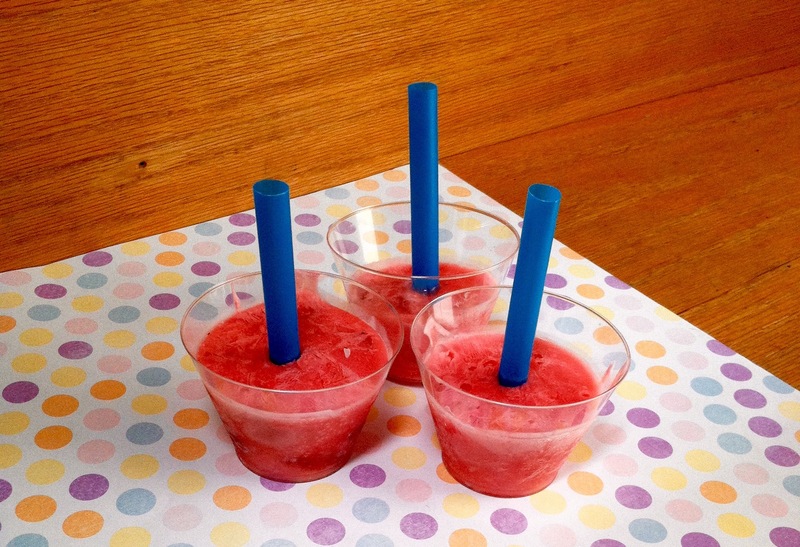 I took some milkshake straws, cut them in half, and inserted them into each popsicle. Then, I let them continue to freeze until they were solid. 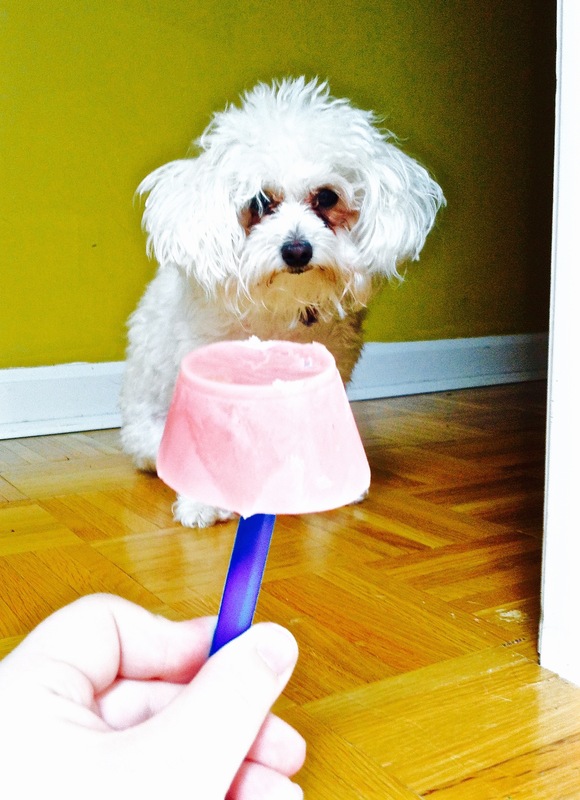 After they’re frozen you can serve them to your pupster! I’m pretty sure they’ll like it! Now, I don’t let her eat the whole thing at once. 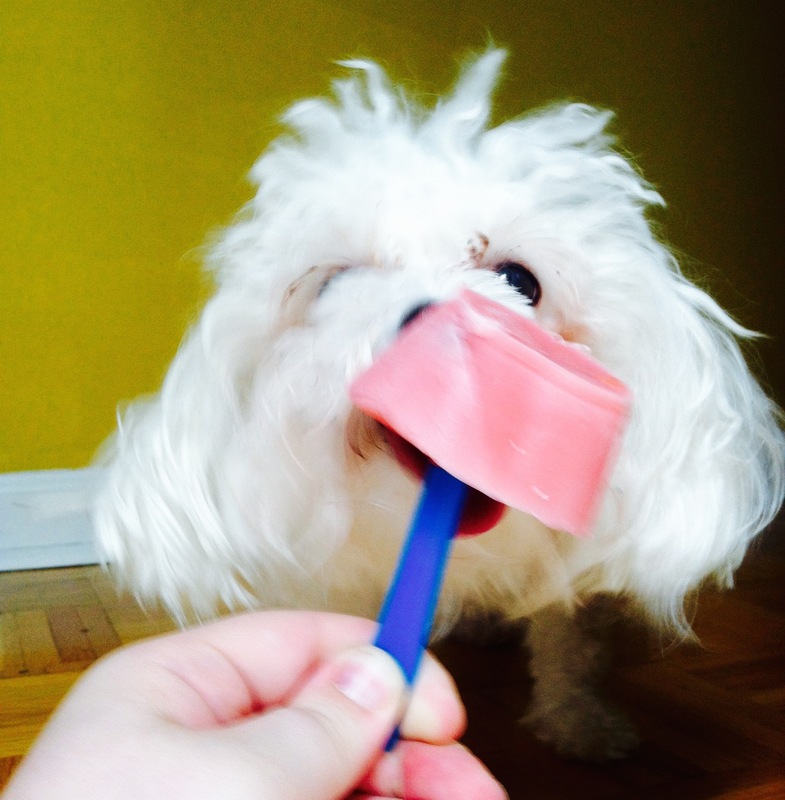 One popsicle is about three servings for her, but obviously it’d be less for any dog that isn’t an 8 lb MaltiPoo. Do y’all make treats for your dogs? Share the recipe in the comments!! Want to show off how cute your pupster is? Share a picture in the comments, or on the Facebook page! !